That's perhaps not as big a deal as T-Mobile's press release is making it out to be. I've been playing Pokémon GO for a few hours a day for the last week, but so far I've only racked up about 150MB of data according to Android's internal tracker. 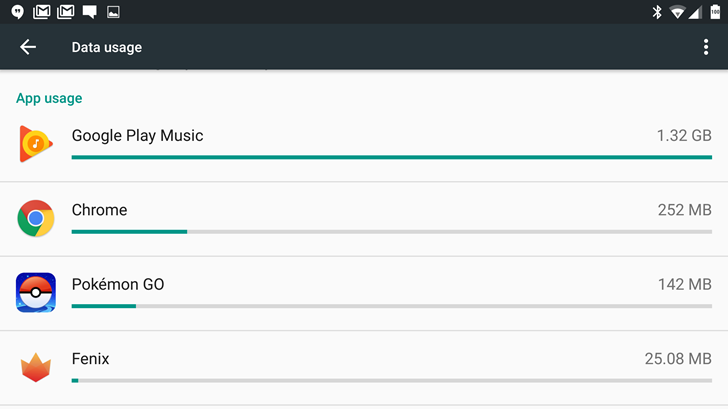 That's considerably less than Chrome used in the same period, and a tiny fraction of what I used from Google Play Music (which is also free thanks to T-Mobile's Music Freedom unlimited streaming feature). Also note that this really doesn't affect unlimited data customers one way or the other. Still, it's one less thing that T-Mo customers will need to worry about as they're out playing the game - now they just have to worry about muggers, irate homeowners, dead bodies, and all the other things you might encounter while wandering around a park at 3 AM. In addition to the free data, the next T-Mobile Tuesday promotion is all about catching 'em all. 250 T-Mo customers will get $100 worth of Pokémon GO's in-game currency, and five will get a free "Pokémon GO hunting trip anywhere in the US." (Presumably you can do other things on that "hunting trip," so since it's July, I'd just use it for a free ride to Yellowstone.) Everyone else will get $15 of free Lyft credit for getting to that out-of-the-way Pokémon Gym, a free Wendy's Frosty milkshake, and 50% off some chargers and battery packs at T-Mobile's online and local retail stores. Here's hoping they don't run out of all that free stuff again. Editor's note: Yeah, we know that some of you are sick of seeing stories about Pokémon GO on Android Police. We're sorry about that, but it's our job - we're a mobile news site, and this is what's dominating the mobile news cycle right now. Tell ya what: we'll promise to only post actual news about Pokémon GO, instead of putting up a long-winded review for a free game that anyone can try or telling you about Pokémon wallpapers and ringtones. Deal? Free, unlimited data on Pokémon Go, so it won’t touch your high-speed data—for a full year! On top of that, 250 people will each win $100 in PokéCoins, and five people will win a Pokémon Go hunting trip anywhere in the U.S. for themselves and a guest! Since Pokémon Go launched July 6th, the mobile game has raced past the likes of Facebook and Twitter on the app charts, already attracting a record-setting 21 million daily users in the U.S. alone. The groundbreaking AR game has surged to the No.1 free game and No.1 grossing game in both the Apple App Store and Google Play Store in record-breaking time, qualifying Pokémon Go as a certifiable global phenomenon. New and existing T-Mobile customers can get free and unlimited high-speed data for all your Pokémon Go gaming in the U.S. – all the way through end of August 2017. They just need to download the T-Mobile Tuesdays app and claim the free gift. But hurry – this limited-time offer will be available to redeem starting next Tuesday, July 19th and available to redeem every T-Mobile Tuesday through Tuesday, August 9th. 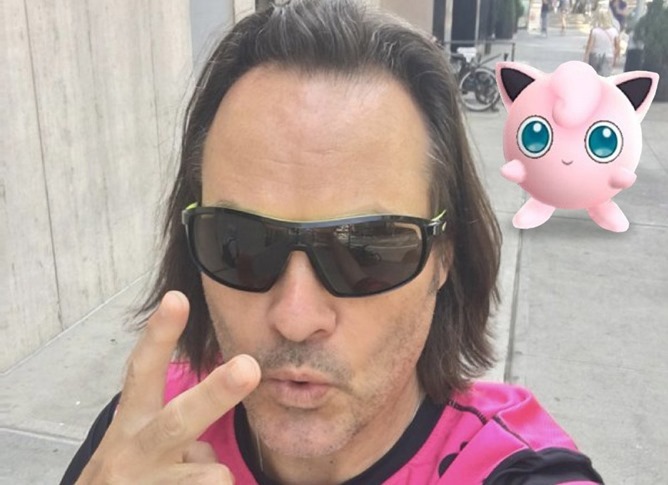 Everyone who’s eligible for T-Mobile Tuesdays is eligible for all this Pokémon fun. Last month, T-Mobile unveiled its 11th iconic Un-carrier move – #GetThanked – a set of history-making initiatives dedicated exclusively to saying “thank you” to customers, offering T-Mobile customers ownership in the company, free stuff every week, and free in- flight smartphone Wi-Fi on Gogo equipped U.S. flights. With T-Mobile Tuesdays, customers can count on getting thanked each week with free recurring gifts, a surprise free gift from a new partner and a chance to win something epic. After launch, the T-Mobile Tuesdays app immediately jumped to No.1 on the App Store. And, millions of T-Mobile customers have alreadybeen thanked with free stuff. The new offers will be visible in the T-Mobile Tuesdays app on iOS and Android and at www.t-mobiletuesdays.com starting tomorrow, so customers can get ready for next Tuesday. Previously, the T-Mobile Tuesdays app featured partner Gilt and a focus on fashion for this coming week, but don’t worry, t-shirts and fashion will be coming back to T-Mobile Tuesday soon. For more information about T-Mobile Tuesdays, visit explore.t-mobile.com/t-mobile-tuesdays.